The more often you make these course corrections the more it becomes a part of your personality; of who you are. Your journey through life is not just physical, but mental (learning knowledge) emotional (we mature from experiences, good and bad) physical (our bodies grow, adapt and react), and spiritual (we learn wisdom and self control and governance). This journey, if seen as an actual line, varies from individual to individual. Though we are changing and adapting, we are essentially in a closed loop of behavior. We count on a number of base behaviors to keep up going, to keep us alive, healthy (for some just healthy enough), maintain relationships and gainful employment. We may think of our journey as a meandering path that winds ahead into the horizon, but our daily behaviors are a closed loop, because they need to be. That closed loop can be imagined as a geometric symbol. Imagine you go through life and course correct to maintain the path you think you should be on/want to be on, and then course correct again. Don’t think you course correct? Every day you make a decision not to speed on the way to work, or to cut someone off, or to steal a stapler, or get up on time, or not cheat on your spouse or not have dessert. Each decision maintains your loop of behavior and maintains who you are. If you make a minor adjustment then you’re making a slight course correction – this is the case when you decide to not have the last bite of your sandwich, or to do the dishes right away, or take a breath before you respond to your spouse. If you make a hard decision, or one that you find requires a lot of energy, then you are making a sharper turn. This is the case when you, forgo the cigarette, or take those leftovers for lunch that you don’t want to eat but will go to waste. Each turn of the wheel helps you complete the path so you can repeat it tomorrow. Now imagine someone who has learned intuitively to make a lot of their decisions. They are very grounded in what they believe (regardless of what they believe – it’s not about the what, it’s about the taking this belief to heart). There is no “should I cut this a**hole off that’s following me too close?” or “How half-assed can I do this task so I can leave early?” or “Do I really enjoy doing this?” All those questions have either been answered long ago so strongly they don’t come up, or the answers to them are so immediate that when they do pop up it’s as if they didn’t come up at all. 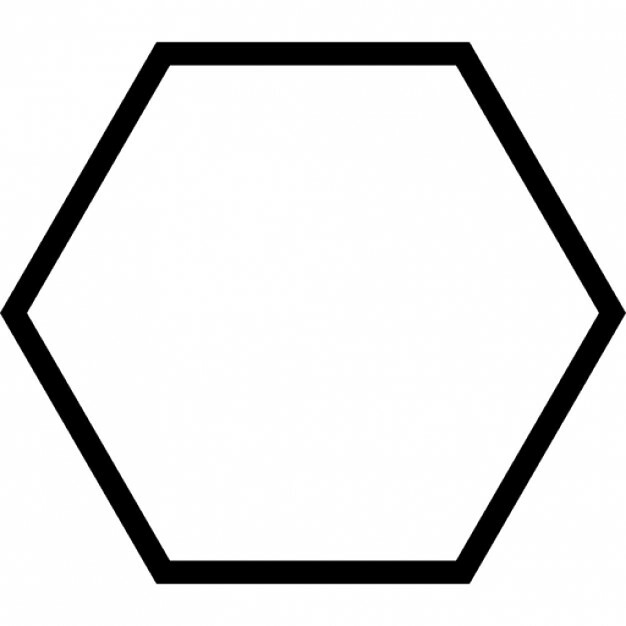 That person’s shape would resemble something closer to a many sided figure, like a Pentadecagon (15 sides). We all know people like this, they are typically people we look to for wisdom, people who seem to have the answers or conversely people who are just cray cray. Yes there are two sides to this coin. 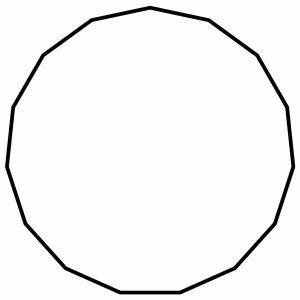 A circle is perfection, or is it? Based on what I just introduced to you, the closer your path is to resembling a circle the more things are innate, built in, and intuitive for you. Circle of Perfection, right? You’re on your path, and it is smooth, so smooth that you can’t really see the course corrections as they are either happening at a rate of infinity or there is no need for corrections. If you experience this then you have some pretty smooth sailin’. As a physical demonstration of this, you can try the following with your car – and make sure no one is around and you’re not going too fast. Do it in an empty parking lot or something similar, and only at a few miles an hour. Try to make a circle, but instead of just yanking the steering wheel to the left, imagine that you are only allowed to move it a little and the return it to center. You can still make a circle but you will notice the course corrections. Turn the wheel a little, then go back to straight ahead for a second. Repeat. Eventually you will be back at the spot you started. Depending on your speed and how move you turned the wheel the circle will vary in size and smoothness. Conversely you can just yank the wheel to the left and hold it there. You’ll notice that though this method seems easier, it does not allow you to avoid obstacles. The down side of the circle is becoming set in your ways and not re-evaluating the situation. Know anyone like this? I touch on this in my talk Balance & Transition. You just experienced a day in the life of someone, just by driving in a circle, in a parking lot. So take the drive, in your own car, without ever grabbing your keys.